At the beginning of the year I, like many people, set myself some resolutions. One of those was to stop buying ‘fast fashion,’ a concept which I really only became conscious of in the last year or so. Fast fashion puts an emphasis on making fashion trends from the catwalk quickly and cheaply available on the high street and, like most things in life, it changes with the seasons, resulting in somewhat of a ‘disposable clothing’ phenomenon. If you google image search “fast fashion”, the first pictures that come up are those of messy, dingy and downright unsafe clothing factories, followed by lists of unethical clothing companies. Not to burst your bubble, but some of our beloved high street shops are among the worst culprits: Penneys, H&M, Topshop, New Look, River Island, Zara, Mango and GAP. I’ll admit, I’ve always known that many of these companies have unethical policies, but I never really thought about it: and in a way, I didn’t want to. As someone who is obsessed with clothes, I didn’t want to admit to myself that my shopping habits had repercussions beyond burning a hole in my bank account. As a society, we consume 400% more clothes and we did just two decades ago. 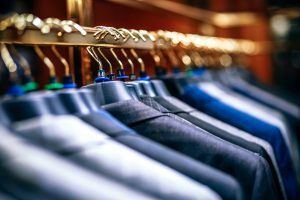 As a result, each person in the US produces 82lbs of textile waste every year, meaning that in the US alone, 11 million tonnes of textile waste is produced every year. In producing these clothes, half of all the fibre used is made with cotton, a seemingly harmless material. However, more than 90% of cotton is now genetically modified, using vast amounts of water and chemicals. Cotton production is responsible for 18% of the world’s pesticide use, and 25% of the world’s insecticide use. I’m no expert, but I’m pretty sure that’s not good. These harmful chemicals are having an untested impact on land and on human health. Believe me, I know it’s daunting to even contemplate making the switch to more ethical and sustainable fashion, but it’s really not as hard as you think. I do almost all of my clothes shopping secondhand now (charity shops and ‘kilo sales’ are Gifts From The Gods). Not only is it better for the environment, it’s so much cheaper too. I can’t remember the last time I spent more than €8 on an item of clothing. Apps like Depop and ASOS marketplace are also a good go-to for pre-loved items of clothing. I do allow myself some investment buys though, like a good pair of boots. Instead of buying numerous pairs of cheap boots that you will just end up destroying and throwing away, it’s much better to invest in a good pair, as this produces less waste in the long run. It’s always good to shop small and support your local businesses so you know where your clothes are coming from. In fact, Ireland is making leaps and bounds in the ethical fashion industry: there are a number of Irish-based, ethically conscious brands thriving, such as recent Dublin initiative ‘The Nu Wardrobe’ – an online clothes sharing platform where you can swap or borrow other users’ clothes. They also run events such as swap shops and upcycling workshops! There’s almost no excuse now for us to support the fast fashion industry, but don’t be too hard on yourself if you’re trying to alter your shopping habits. Any small change you can make is going to help. Next Next post: Paradise Lost?